Does Suboxone Help Curb Urges? Will My Oxycodone Cravings Ever Go Away? Oxycodone cravings can occur when someone with an oxycodone addiction stops using the opioid medication. Cravings are a completely normal response to the abrupt cessation of oxycodone use. Cravings can cause those with addiction to relapse, but they don’t have to. You can use coping skills to deal with oxycodone cravings. When you take oxycodone for a long time, your body can build up tolerance to the opioid painkiller. This tolerance results from changes in your brain and your body. They become accustomed to the presence of oxycodone, and when you suddenly stop taking the drug, withdrawal occurs. One major sign of addiction is an intense craving for oxycodone. This is because the drug has altered neurochemical processes to the point that you don’t function as well without it. When you are craving oxycodone, you have an overwhelmingly strong urge to use the drug. Wanting to use oxycodone due to a number of triggers, such as the presence of a medicine bottle and driving by old locations where you used. Hanging out with old using friends. Short-acting. If the oxycodone is short-acting (its effects begin soon after administration), you may have cravings 6-12 hours after the last dose. Long-acting. 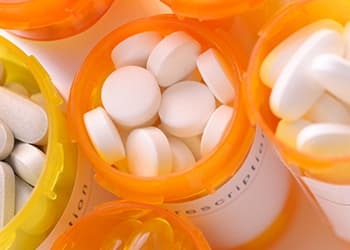 If the oxycodone is extended release (its effects last for a longer period of time but aren’t as intense), you may not have cravings until about 2-4 days after the last dose. You don’t have to battle oxycodone cravings alone. Many different treatment programs can help you to overcome your cravings and to prevent relapse. If your oxycodone cravings become extremely difficult for you to fight, you can enter inpatient rehab to prevent relapse or to treat relapse. Inpatient treatment allows you to live at the facility while receiving appropriate rehabilitation. Residing at the location will allow you to escape the environmental triggers that produce oxycodone cravings. Outpatient rehab programs allow you to live at home while receiving appropriate treatment for your oxycodone cravings or addiction. This is important for those who must fulfill work, home or school responsibilities. 12-step programs such as Narcotics Anonymous and Pills Anonymous are helpful if you’re looking for a supportive and encouraging environment. You can listen to others and share your oxycodone addiction experiences. Members of these programs tend to have sponsors. These people are confidants who have been through the 12 steps and live a sober life. If you are craving oxycodone, your sponsor is a great person to call to talk it out. Often, people who are suffering from a substance addiction also have a mental health condition such as anxiety, depression or schizophrenia. This is called dual diagnosis. It’s important that all co-occurring disorders are addressed when treating addiction, or the risk of relapse may increase. Individual therapy is often a part of inpatient or outpatient rehab. But it can also be independent of either one. During therapy, the therapist will work to identify and address the underlying problems that influence your oxycodone addiction and urges. Group therapy, which is facilitated by a certified therapist or a mental health professional, focuses on developing and building social skills. It allows you to share your experiences with the group while connecting with others. Distraction. Do a healthy activity that will distract you from your craving. Examples include riding a bike, swimming, cooking, reading, drawing or going for a run. Talking it out. Many people find that if they confide in a friend, family member or 12-step sponsor, the cravings go away. They remember how far they’ve come in their battle against addiction. Relaxation. Therapists teach individuals to take deep breaths, to count backwards from 10 or use guided imagery when experiencing cravings or an emotionally trying time. Avoid trigger situations. One of the best ways to fight cravings is to avoid trigger situations and people. Don’t hang out with old using friends or go to places where you used oxycodone. Self-talk. Remind yourself how well you’ve been doing and how much better your life is without drugs. Encourage yourself and be positive. This will help to curb the oxycodone cravings and promote a sense of well-being. Contingency management is another effective behavioral treatment for opioid addiction. It is focused on motivation and rewards to encourage abstinent behavior. If you’re struggling with your cravings and fear relapse, a contingency management program may be helpful. Suboxone helps to curb cravings but has potential for abuse. Suboxone, a medication approved for the treatment of opioid addiction, helps to curb oxycodone cravings. The drug is a combination of buprenorphine and naloxone. Suboxone is prescribed as part of a medical maintenance program for opioid addiction that includes behavioral therapy. It is a partial opioid agonist, which means that it binds to the opioid receptors in the brain but to a lesser degree than full opioids such as oxycodone. In addition to Suboxone, a few other medications that are used to treat oxycodone addiction can help curb cravings. Subutex: Subutex is similar to Suboxone, except the only active ingredient is buprenorphine. As a partial opioid agonist, buprenorphine is incapable of eliciting the powerful highs of oxycodone. But it still has abuse potential. If you take Subutex for an oxycodone addiction, be sure to follow the doctor’s instructions carefully and do not take more than prescribed. As mentioned previously, cognitive behavioral therapy encourages you to use distractions to cope with cravings. These distractions are natural remedies and help to occupy the mind and the body while craving oxycodone. Oxycodone withdrawal syndrome isn’t life-threatening. But it can be very uncomfortable and painful. In fact, opioid withdrawal is associated with increased suicide attempts and completions. This is one of the main reasons why it’s recommended that you seek medically supervised detox. 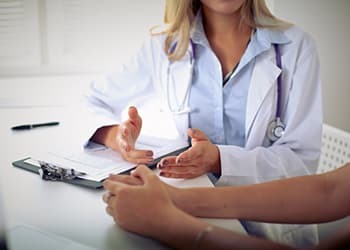 During detox, health care professionals can provide you with opioid withdrawal medication that can ease the discomfort associated with withdrawal. That’s why it’s extremely important to avoid these triggers if possible so that potential cravings can be eliminated. During rehabilitation, therapists will equip you with the proper coping skills necessary to overcome these cravings. Who Answers? if you are having trouble controlling your oxycodone cravings and would like help finding a rehab center. Oxycodone cravings are unpredictable, so it’s hard to tell how long they will last. According to the Diagnostic and Statistical Manual of Mental Disorders, Fifth Edition, the inability to feel pleasure – a condition known as anhedonia – can last for weeks to months.9 While some people’s cravings dissipate after a few weeks, others experience them for a lifetime. The good news is that if you develop and use appropriate coping skills, you can help to minimize your oxycodone cravings over time and even avoid them altogether. You can be on the lookout for a number of different relapse signs in oxycodone recovery. Identifying these warning signs can help you to prevent relapse before it occurs. Starting to reconnect with old friends who use oxycodone. Changes in behavior or attitude. Loss of interest in your hobbies. Believing that you can use oxycodone recreationally without becoming addicted. One important part of relapse prevention is aftercare, which is any form of ongoing treatment after your initial treatment. Aftercare can come in many forms. Outpatient treatment programs: Many people transition from inpatient recovery centers to outpatient. 12-step programs: Some people find comfort and support within the programs and attend the meetings for life. Individual therapy: A therapist can continue where your treatment program left off. They can help you develop your coping skills and teach you to avoid triggers. Group counseling: Similar to therapy but with a group, you work on building a number of strategies for recovery while sharing your experiences with oxycodone and listening to those of others. If you or a loved one is struggling with oxycodone cravings or addiction, call 1-888-319-2606 Who Answers? to speak to a treatment support specialist. Many options are available to help you, whether you have insurance or not. Why Do I Crave Sugar When I Take Oxycodone? When you take oxycodone, the drug activates the opioid receptors in the brain that, in turn, influence your regulation of glucose, or sugar, intake. 11 As a result, you may develop a preference for sweet-tasting foods. This additional activation of the opioid system and the subsequent reward sensation may explain the increased desire to repeat the behavior – in this case eating sugary food or drink – when you take oxycodone.
. Kosten, T., & George, T. (2002). The Neurobiology of Opioid Dependence: Implications for Treatment. Science & Practice Perspectives, 1(1), 13-20.
. Mba, D., & Phd, M. (2010). The relationship between opioid and sugar intake: Review of evidence and clinical applications. Journal of Opioid Management, 6(6), 445-452.